There are not many things I own that are truly vintage and truly remarkable in their story. I love vintage, save for the tacky wannabe kind, but after a while everything seems the same, second-hand worn items that everyone else is wearing. For that very reason I don’t buy much vintage anymore; but there is one piece I want to share with you. 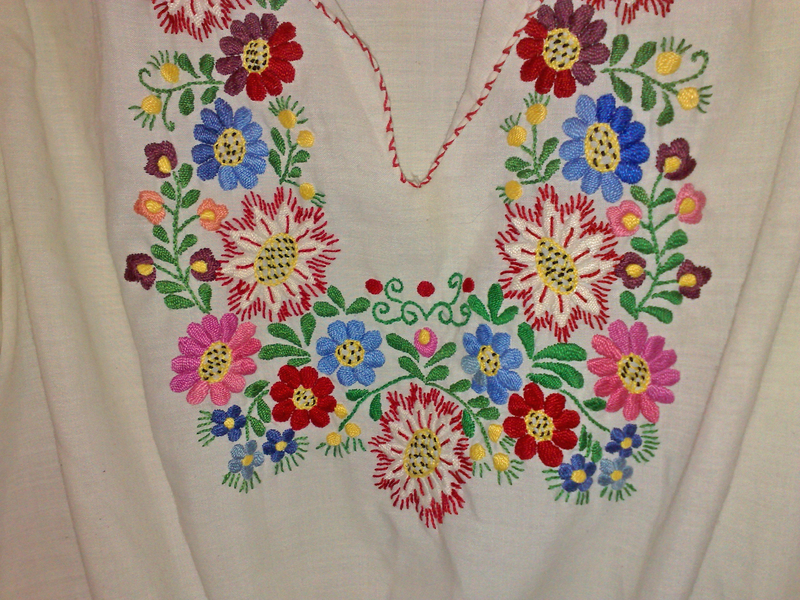 This is the vintage hand embroidered blouse that I am talking about. It is truly vintage, because it has been in the family since 1974. It is one of the few pieces I own that have its own story that goes beyond my years and I love it even more because of it. 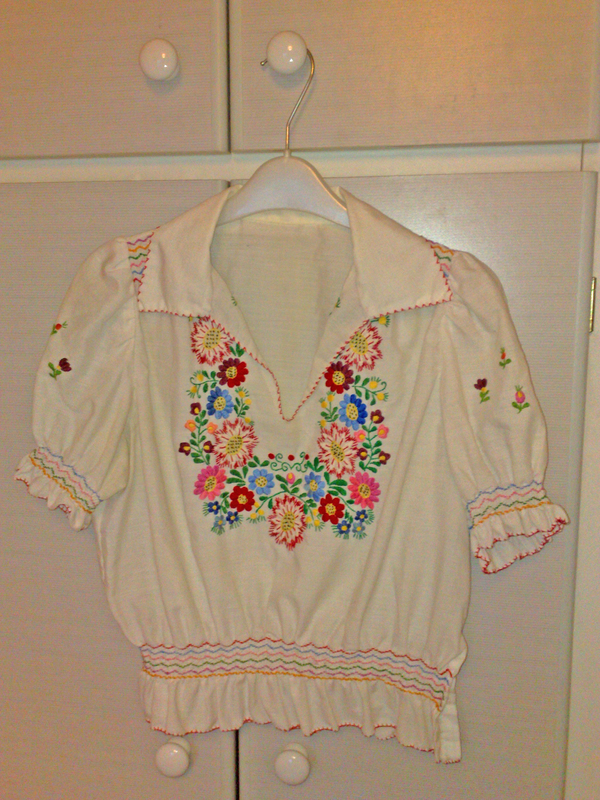 My great-grandmother brought this back from Hungary in 1974 and gave it to my mother to wear. She wore it for a long time and over the years it’s been worn by every woman in my family. My aunt has had it, my grandmother and it has been in my possession since I was fourteen. It might not always be in fashion, it might not have a label or a tag, but it is something unique. The flowers on this blouse were sown on by hand; it has no label or wash tag and was completely stitched together by hand. It has a slight stain and is far too short around the belly for me; but no one cares about the imperfections. One humid summer’s evening a few years ago in Berlin, I was sitting on the patio at my aunt’s house, my mother and we were visiting for a week and having coffee and cake with my grandmother and grandfather. I wore this blouse and both my aunt and grandmother exclaimed over the blouse. It seemed that even twenty years later they both remembered it, which goes to show how special it is. I’ll pass this on to my own children in the future and keep the family tradition alive. P.S. Have any of you stories about pieces of clothing that hold a lot of history and memories?